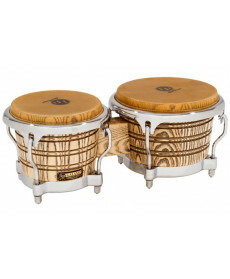 Bongós Latin Percussion LP793X Galaxy Giovanni Bongo Set. Material: Hardware Dourado. Aros: LP Comfort Curve II. Tensores: 0,3125". Cor: Gold. Over his illustrious career, Giovanni Hidalgo has reshaped the way the world thinks about hand drumming. His style and demand for excellence is reflected in the drums that bear his name. 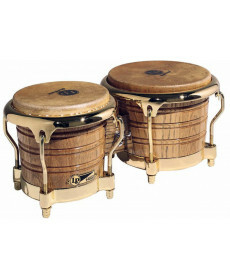 Bongós Latin Percussion LP793XC Galaxy Giovanni Bongo Set. Material: Hardware Dourado. Aros: LP Comfort Curve II. Tensores: 0,3125". Cor: Chrome. Over his illustrious career, Giovanni Hidalgo has reshaped the way the world thinks about hand drumming. His style and demand for excellence is reflected in the drums that bear his name.